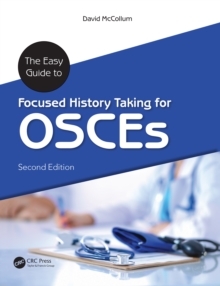 This straightforward guide to taking patient history comprehensively covers all of the commonly seen OSCE scenarios within the current undergraduate medical curriculum. 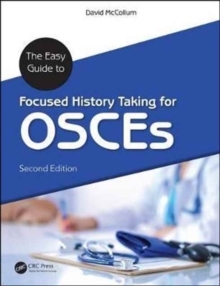 The Easy Guide to Focused History Taking for OSCEs includes introductory chapters with general OSCE guidance, mapping onto the Calgary-Cambridge model. 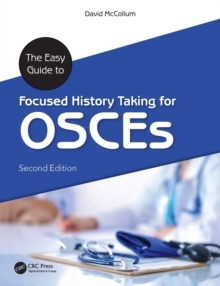 These include tips from recently qualified doctors and highly respected physicians and surgeons who commonly examine OSCEs, as well as a sample OSCE marking scheme. The book then covers 56 histories based on presenting complaints - more than any other text on the market - thoroughly testing both knowledge and examination technique. Each history is based around the exam requirements, with mnemonics, `red flag' symptom boxes and list-based breakdowns to aid prompt recall. Common and serious differentials are highlighted, as well as investigations to help rule out the serious conditions. Each section concludes by outlining key aspects for each differential diagnosis as well as a list of investigations and management options. With this book, every student will be well equipped to tackle any clinical problem, in the OSCE examination and also in their continued professional practice.